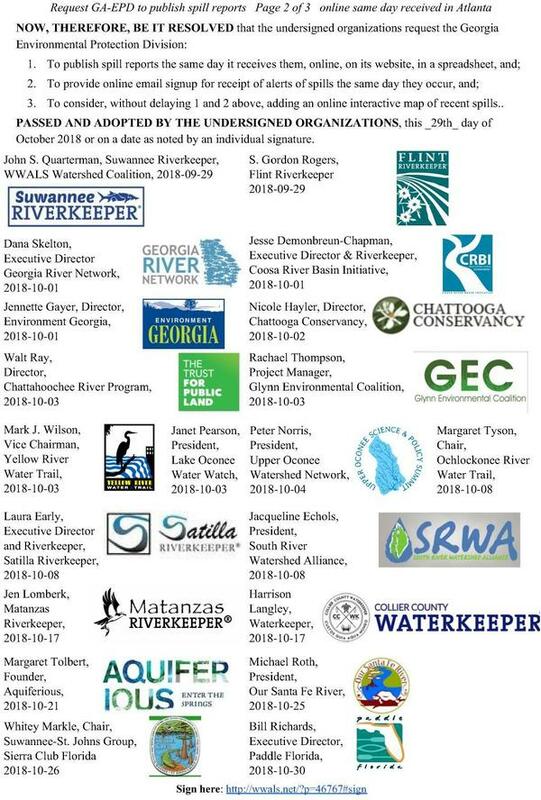 These three groups add to two others in Florida that are not even downstream, and to twelve in Georgia so far. 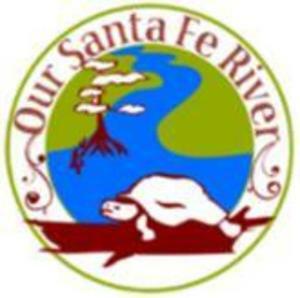 Your group can also sign on to the resolution. We plan to send this resolution to GA-EPD by the first of November. To get your organization on the copy sent then, please sign on by the end of October, which is tomorrow, Halloween. 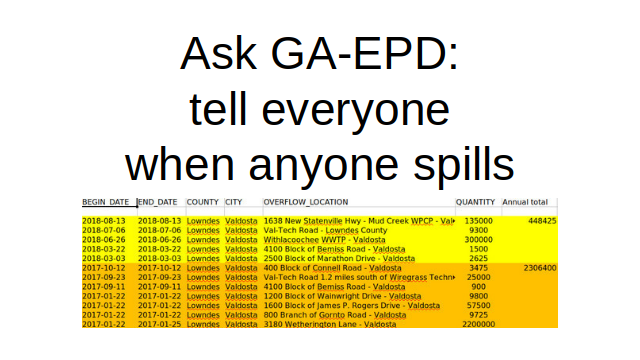 WWALS from time to time gets a spreadsheet of spills reported to Atlanta through open records request to the Georgia Environmental Protection Division (GA-EPD). Don’t you think GA-EPD should publish it themselves, the same day they get it? 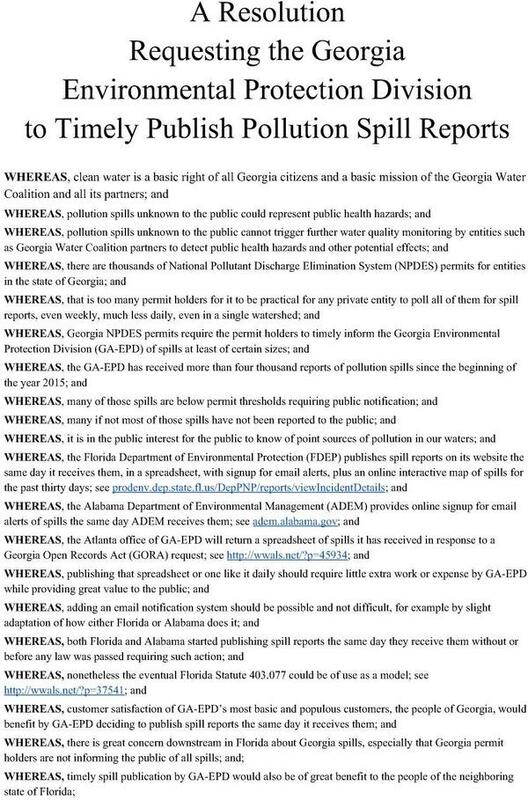 Florida and Alabama already do this, with signup for email alerts. Georgia can, too. Actually, you can sign on after that, too, but why not join us now in giving GA-EPD a Halloween present? You can sign your organization on using this google form. Below is the text of the resolution. See also the printable PDF. To consider, without delaying 1 and 2 above, adding an online interactive map of recent spills. PASSED AND ADOPTED BY THE UNDERSIGNED ORGANIZATIONS, this _________ day of October 2018 or on a date as noted by an individual signature. See also the printable PDF. 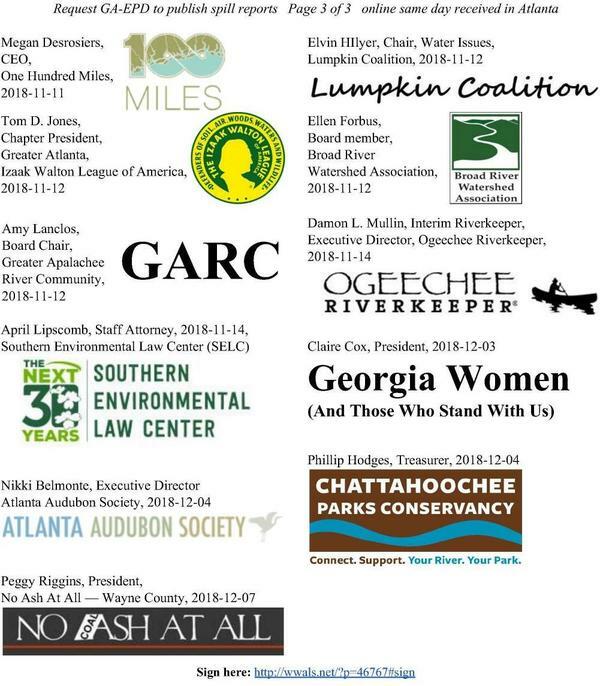 You can sign on for your organization.